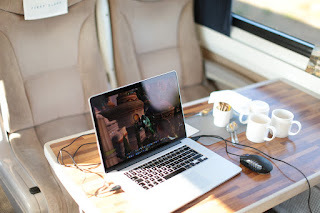 How did the train wifi compare? It's free in first. In theory they could do this really well with multiple antennas along the train, covering all but the worst tunnels and black spots, but I don't know if they do. Didn't try, to be honest. The splash page is good though as it shows where you are on a map, details of stations and ETA for journey, and all sorts. Sadly, as a splash page, I cannot make the camera connect to it to upload pictures. Easy answer - can't get past the registration screen - does nothing when you click Register.